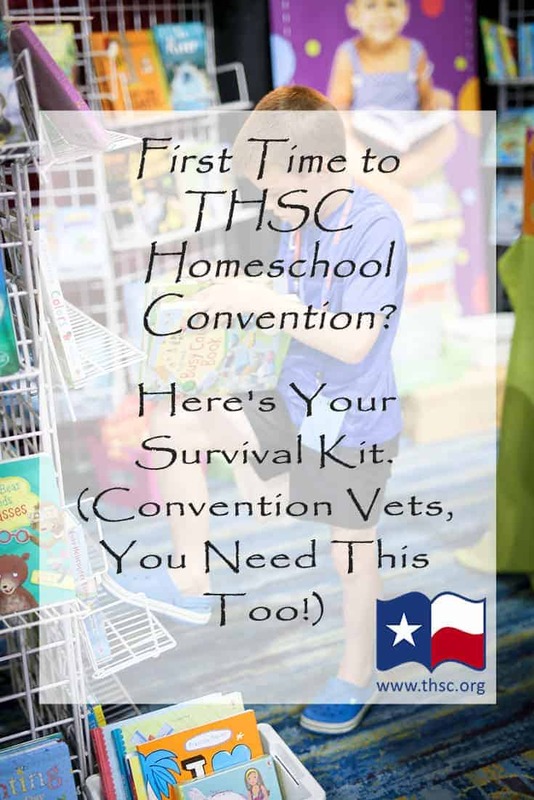 First Time to THSC Homeschool Convention? Here's Your Survival Kit. 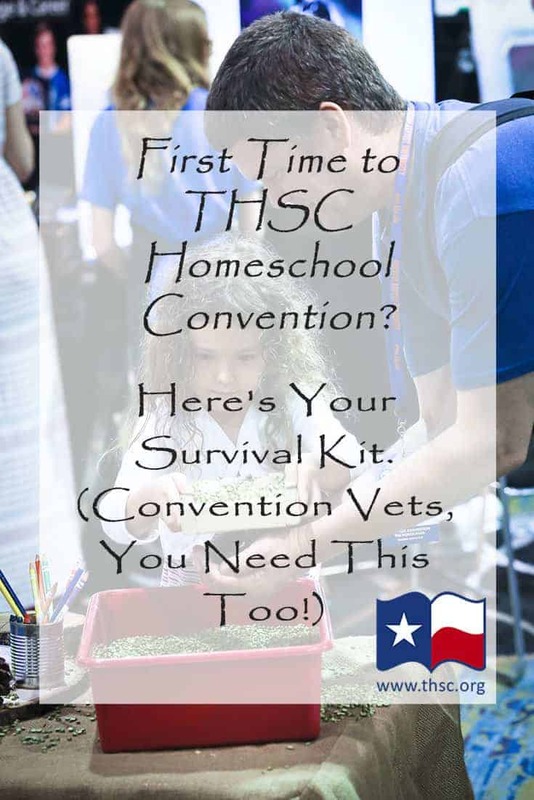 If you plan to attend Called to Teach THSC Homeschool Convention, a little prep work and forethought can make your homeschool convention experience highly productive, as well as enjoyable. First, determine your approach. Are you there to window shop and learn about your options? Will it be a workday for you, where you are intensely focused on choosing curriculum and listening to speakers? Or maybe it’s your day off, to just wonder and shop and take in whatever strikes your fancy. 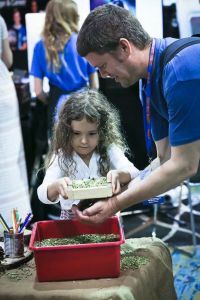 There is no wrong way to attend a homeschool convention, but having reasonable expectations in advance will ensure that your experience is successful and satisfactory. My husband always tells me that disappointment, frustration and other negative emotions stem from unmet expectations. Knowing what you expect from a homeschool convention weekend will make you more satisfied with the result! 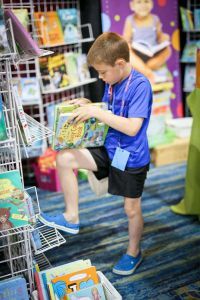 Maybe your first homeschool convention is merely a reconnaissance mission—you won’t make any decisions, but will just browse and simply get an idea of what is available. When you get home, you can evaluate what you saw, do some more research, and make your purchases later. If you go with that attitude and take a similarly-minded friend along, you’ll have a great time seeing the sights at a relaxed pace. On the other hand, perhaps the situation is more critical and you feel the need to seriously seek materials, encouragement and support for your homeschool year. If that is the case, you might want to consider specific ways to make sure that it happens. Moms and dads, that means advance preparation! For example, if you were planning a trip to Disneyland, you would prepare in advance to make the most of your stay. You would research the best places to stay and the most economical way to feed your family. You would also familiarize yourself in advance with the available activities and the layout of the park so that you would be sure to experience the things most important to you. While a THSC Convention is nowhere near as expensive as a trip to Disneyland, planning your time is worthwhile. You probably won’t want to take all of these steps, so just pick and choose what seems workable for you and forget the rest. Let’s be real—it’s practically impossible to make a good plan if you only start at Convention itself. The sheer size of the vendor hall, the number of choices, the number of people, and the opportunities to hear speakers can be overwhelming! Give yourself time before Convention to pray for God’s direction and ask yourself some questions. What is my focus this year? Is it a particular subject, skill or character issue? Do I need an entire course of study for a particular child? Am I a completely new homeschooler who really needs to learn the basics? Am I a veteran who needs a shot of encouragement? Knowing the answers to these questions will enable you to use your time wisely. Write down your answers so that you won’t get distracted by all the incredible options you’ll see! If it will help you focus, perhaps you should consider attending by yourself. If you plan to carpool (a great idea, given traffic issues), agree in advance as to whether you will split up upon arrival. Be honest with your friends about your needs, and be willing to protect your best interests if necessary! The things we most often forget are probably that 1) time is limited, 2) we’re only human, and 3) we can’t do it all! We can’t sit in every workshop or examine every item at every vendor booth. Let’s give ourselves the grace to be content with those limitations and not be anxious over what we might miss! With regard to attending workshops, browse the homeschool convention workshop descriptions in advance on the THSC website (view the Arlington program) and pick the ones you would like to attend. It would also be helpful to print out any speaker notes posted along with convention information beforehand. The vendor workshops are a good opportunity to get thorough information about a particular curriculum. If you are interested in multiple workshops that will be occuring at the same time, perhaps you and your friends can split up attendance and share notes. You could also purchase recordings of the workshops and share them among yourselves. Consider suggesting that your co-op or mom’s group purchase the entire set of workshops from convention and split the cost among interested members. If your focus for convention is looking at curriculum, you will feel more productive if you schedule your workshop attendance through the strategies mentioned above. Now, how about shopping for curriculum? So many books, so little time! First, try to do some homework in advance—on the internet, among your friends, and at local homeschool stores if possible. While you might not be able to conclusively decide what you need, you can probably still eliminate some choices. Don’t get sidetracked. A plan prevents that. Secondly, if any mom at one of your homeschool groups uses the curriculum that you’re interested in, ask if you can borrow it so that you can look it over. After a little research, create a list of curriculum that you want to see. Sticking to your list might require you to pass by many vendors with wonderful new products, but if you have time at the end, you can always make the rounds again and visit vendors that you missed. Successful homeschooling is about the relationships you are creating with your children, not the specific curriculum you purchase. Your children will not suffer just because you do not examine everything that is available! Over time, you will refine your homeschooling goals, and your selected curriculum should help you achieve those goals. Following such a standard will make your convention purchases more certain. We’ve all made purchases that turned out to be disappointing, but it’s a necessary step toward earning the badge of a true homeschool parent! Finally, let’s talk logistics. If you really must use your time to the fullest, have your list of curriculum and view the floor plan for the convention venue prior to arriving! Familiarize yourself with the layout of workshop rooms as well. All the people, displays and booths can be very disorienting! Maybe you pride yourself on always including your children in your activities. Be honest and acknowledge that some things are better done without them. At convention, you won’t want to be listening to speakers and evaluating products while also keeping a watchful eye on your kids. They might distract others in the workshops or rearrange things at the vendor booths! Register them for the Kids Convention instead. It is loads of fun for the kids and it’s actually less expensive than a sitter. Plan ahead for the expense—it’s worth every penny. If you absolutely can’t afford it, perhaps you and your husband (or another mom) could watch the kids and attend convention on alternate days. Kids Convention is the THSC children’s program for ages 4-12. During Kids Convention, children’s teams will rotate between exciting Biblical lessons, games, skits and crafts. Object lessons and memorable songs make it a weekend adventure that kids love! The THSC Conventions are all about families and THSC wants to ensure that every member of your family has the opportunity to participate. THSC has worked very closely with our Special Buddies Director, Misty Northcutt, to present a program that we believe will be an incredible blessing to families who have loved ones with special needs. Also, a “Special Club” for kiddos who need a smaller group setting will be available at both conventions in Arlington and The Woodlands. For a more in-depth experience, preteen girls 11-12 can be a part of Inner Princess! This program is not about fru-fru and fairy godmothers, it’s all about girls connecting with God and recognizing their royalty in Him. This year’s theme centers on the questions our culture has about God’s Word—s it true, reliable and applicable to girls today? The Mighty Men of Valor program is designed to encourage preteen boys ages 11-12 to be men after God’s own heart, with a focus on what it means to be faithful. The Mighty Men of Valor program will include hands-on activities with spiritual analogies, fun-filled skits, singing and Bible verse memorization. THSC Teen Staff is a one-of-a-kind experience where teens develop valuable skills and friendships all within an atmosphere of service-minded teamwork. To reduce stress when you arrive, do everything in advance if possible. Register early and take advantage of the available meal packages. They may seem expensive at first glance, but when you consider everything—trying to leave convention, finding food in a short time frame, finding a parking place again, and more—you find that it saves both time and money! Have your lists of curriculum and workshops, and stick to them. For a few last things to think about, be sure to bring a sweater—the convention venue is often cold! Also, support the exhibitors by buying from them on-site if they have helped you. Respect that these are families making a living, just like your family! If you’re a new homeschooler, know that you simply cannot learn everything in one convention! You’ll need to read books and blogs, have mentors, and be friends with other homeschooling moms. It’s a process! Enjoy it and give yourself time to find your way. Beverly Parrish is a mom of seven who began homeschooling her kids in 1990 … and she’s still at it! Over the years, she has homeschooled others, mentored new homeschool moms, tutored struggling students, and spoken at conferences. Several of her children have special learning issues, so she has actively educated herself on ways to help struggling learners. Since reading well is the foundation for mastering other subjects with greater ease, helping students conquer reading problems is her greatest passion. Bev is a Licensed Davis Dyslexia Correction Facilitator. In her spare time, she enjoys reading and sailing with her family. I homeschooled my children from 1997-2007. 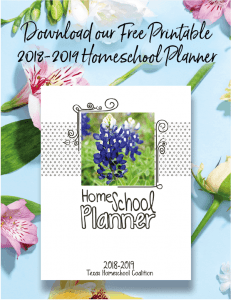 During this time, we all used to look forward to going to the homeschool book fair every year. Now, I’m a newly published author. I would like to have a booth to set up my books to sell. Please send me information about how to get a booth. Thanks so much! I look forward to hearing from you soon. Scroll down to find information about exhibitors. Thank you for contacting THSC!